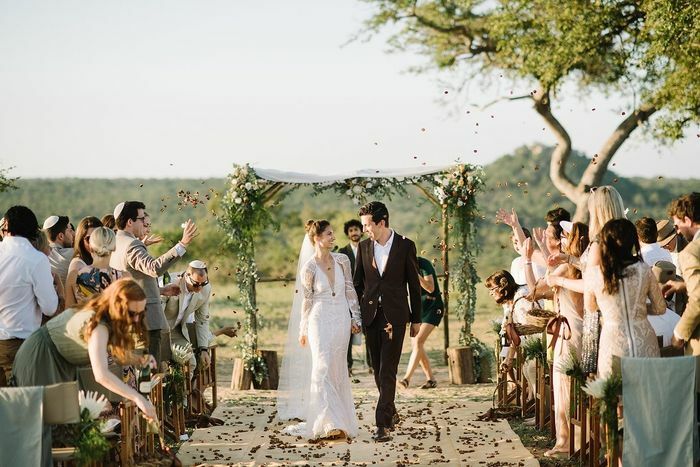 For Kyly Zakheim and Ryan Rabin, the latest couple to get the Vogue wedding treatment, South Africa was a special place to hold their ceremony for a couple of reasons. Not only was the groom from South Africa, but that’s also where he proposed to Zakheim, while on a safari trip to Kruger National Park. Scroll down to see this stunning South African wedding, and head over to Vogue to see the rest of the images! What’s your favorite part of this stunning wedding? Tell us in the comments below, and then shop Vera Wang dresses and accessories for yourself!